Oh what a bliss it is to be able to be amidst the nature, and to be able to capture it in the little black box of memory is just priceless! This is what we tried to do at Juda ka Talab. 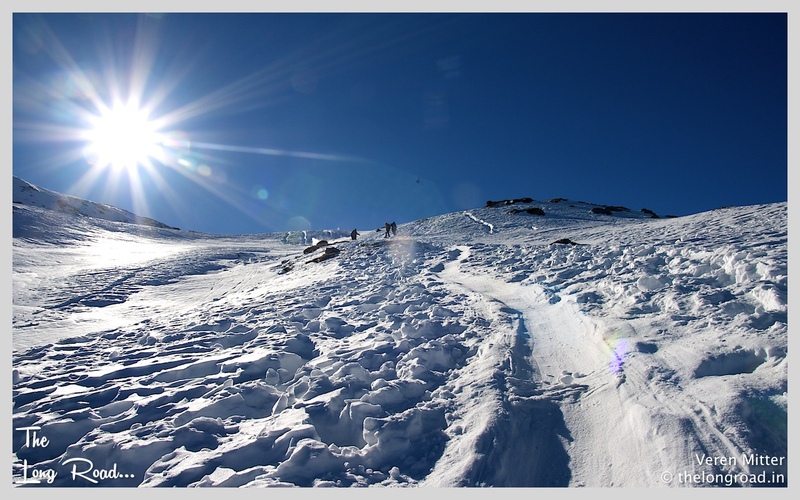 It was 27 Dec 2014, the day our breathtaking ( quite literally) trek began from Sankari( 6400 Ft) to Juda ka Talaab ( 9100 Ft). We were approaching the first evening after an arduous day. Sun was loosing its warmth, and the group picking up the same from the bon fire nearby. A call for workshop on Photography had a serious competition with the warm and comforting flames rising from the wood, but who can stop the seekers! It was a delight to have a lots of enthusiast participants for the same. 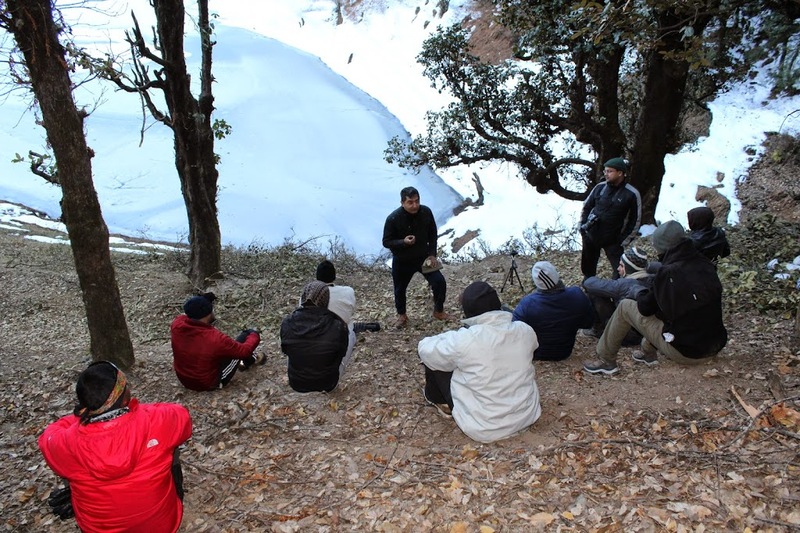 Though the terrain was difficult and the physical displeasure/fatigue was taking over most of us even then we could manage to conduct the workshop at the slopes of Himalayas. Every one was aware that with every feet we gained, the scenery changed. Mountains spread their in all shades of green, blue, brown and white. Leaves still, moving or absent. Trees swaying, hissing or just motionless! the backdrop was set.The camera was quite excited with me to capture what we were trying to capture. Lots of interesting aspect of photography were covered. Broadly the workshop covered from Camera/ Lens details to Landscape and Portrait Photography tips! The subject was exhaustive but interesting. There were question and answers round after each topics. Braving the chill the session meant for half an hour stretched to two hours! I was quite excited to hear the question put up by the participants. They were quite inquisitive about their camera and photography. I would like to special mention my workshop most active participants whom I thoroughly loved to interact Anand Aggarwal, Nikhil, Amit Rawal, Ajay Srivastava, Santosh Nanduri, Shankar, Darshan, Manish chandwani, Muthuraj, Udhav, Sunderesh and many more…. 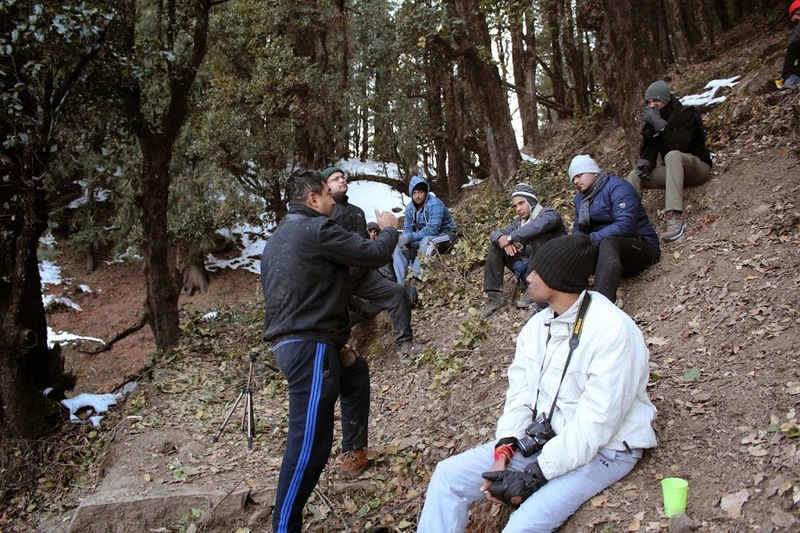 To my Surprise the Session was in demand and we conducted one more once we reached Kedar Kantha Base Camp @ 11250 Ft. I really enjoyed the session as I got the opportunity to shoot Himalaya in landscape along with diffrent settings and ideas. Below are the broad topics discussed and explained during the workshop. 2. Composition of a picture/shot. 3.Aperture ISO and shutter speed. 8. Various lens and their use. I look forward for more photography workshop. If interested call me at +91 9915677660. 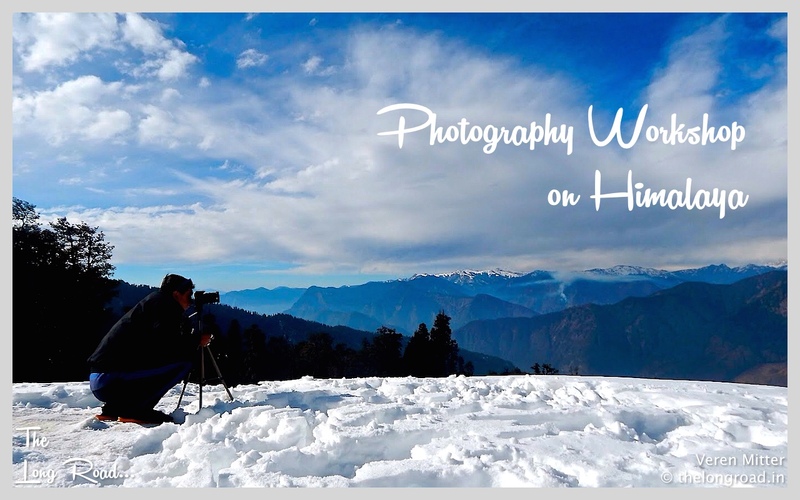 Below are the Photograph taken on Himalayas during the workshop and practice session. Away from the maddening crowds! My own dwelling.... Away from the winding paths of worldly wisdom ! That's where my home is! Thanks! Happy New Year to you too ! Its good to be back! Thanks for the good wishes…Hope you liked the pictures.